Starring: Ethan Hawke (Training Day), Juliet Rylance, James Ransone (The Next Three Days) and more. Rated: Rated R for terror and violence, intense and disturbing images and mild language. First off. I am not a big horror movie fan. Not because I don’t like them. Admittedly, it’s fun to be scared sometimes. But because so many new horror movies stray away from the beauty of scary movies of the past in that they ignore the strength of the human imagination. Things off-screen in a horror movie can be FAR more scary than things on-screen. Depending way too much on those “Shock-and-Scare” moments, recent horror movies often disappoint and either over-utilize “found footage” filming, shock-and-scare scenes, possesion, or blood and violence as a whole. I was afraid of the same thing prior to seeing Sinister. In the time of year for horror movies, director Scott Derrickson presents a more original dark tale on the big screen and succeeds in scaring audiences. 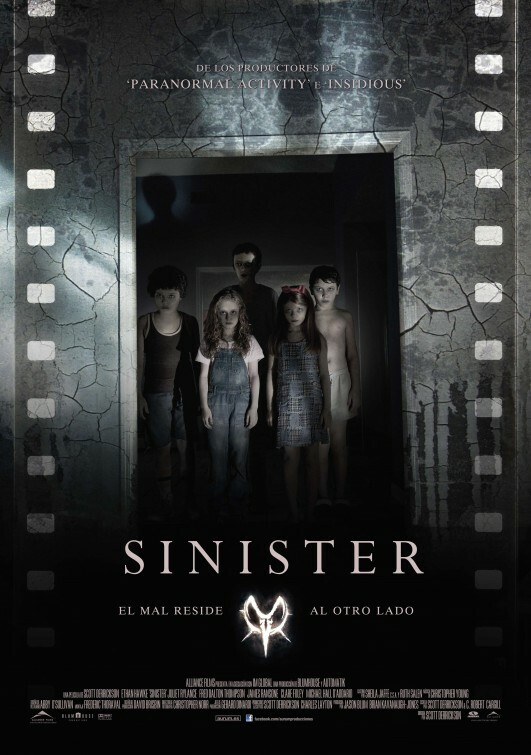 Sinister tells the dark tale of a story writer, Ellison Oswalt, who bases his novels on true life crime events. With recent limited success, he seeks out (and finds) an even darker crimewave to base his new work off of and moves his family into the house where the events took place. A crime-chaser, if you will, Ellison (Hawke) allows his curiousity and investigative nature get the best of him as he discovers more of the events and an ominous force that now threatens him and his family’s well-being. The horror film formula of Pandora’s Box is opened once again and the movie shows just how dark and sinister the consequences can be. As Oswalt finds, there is a sinister spirit that haunts and seeks the lives of children and nothing but destruction and death follow him. And, as the story and formula would have it, he becomes the next in a whole string of targets. 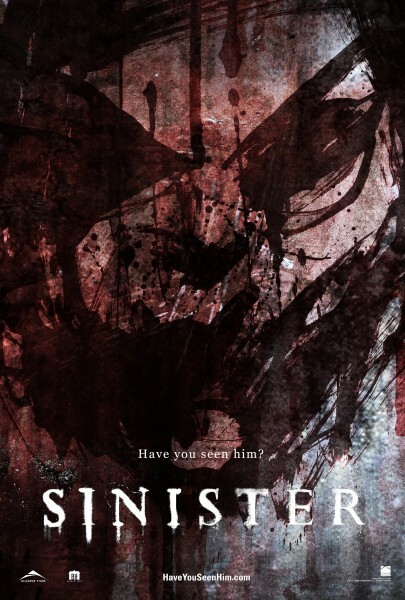 Sinister is not for the faint of heart. It dives into pretty dark and creepy territory with archived homemade videos of grisly murders taking place. When Oswalt finds said tapes, it is ironic only because it is quite reminiscent of scary movie audiences to begin with. Those in love with horror films may look away from certain scenes in movies, but ultimately find themselves looking back at the screen again waiting for the next thrill…even though they may not want to. Oswalt does the same thing as he finds himself watching video after video…each with grisly murders…wanting to look away but finding himself drawn right back. A very relatable aspect of the film for movie goers. Relatability is one of the strengths of this movie. In contrast to so many by-the-numbers horror movies, Derrickson actually provides character and depth to the people in the movie and creates an even greater sense of humanity…and depravity. While I am not a horror movie fan, I found myself intrigued by the fact that he combined reality and horror together which tied the movie together quite well. The characters, unlike the stereotypical scary movie ones, add to the entire “swallow-ability” of the movie. With the use of Ethan Hawke, Vincent D’Onofrio, Fred Dalton Thompson and more, Derrickson brought together a great cast that performs cohesively and does not allow their performance to overshadow the story itself nor the feel of the film. It is dark, creepy, and scary when it needs to be (which is a lot), hilarious when it needs to be, and it is sad when it needs to be as well. Pretty solid writing and acting, despite how troubling some of the material may be. For a horror movie, I’d say it was pretty well done. Although, I wouldn’t go around telling everyone to go see it either. With you on your score, definitely. I wasn’t all that scared by this film. I rarely am with horror films. But it’s definitely dark and disturbing. The territory it goes to … woah. 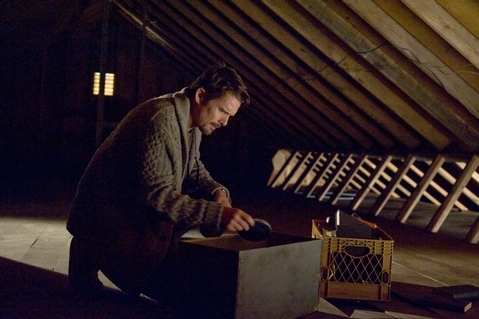 Ethan Hawke’s a great leading role and an in for the audience to real get into the story. Hooray Jaina! Yeah, this one was so disturbing at times. I appreciated its ending and storytelling. As you know I can’t handle horror and the trailer looks absolutely terrifying. 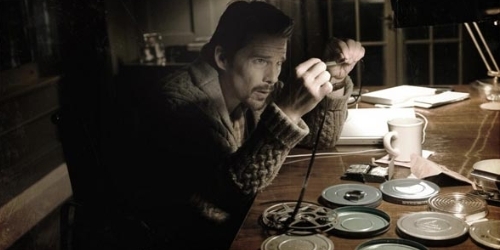 Glad that the film lives up to it, Ethan Hawke looks pretty good from what I’ve seen. 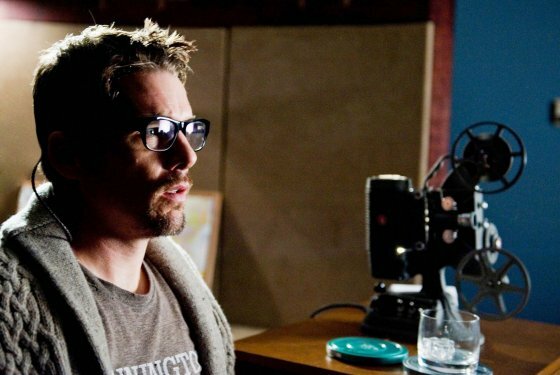 Ethan Hawke was one of the strongest points of the film for sure. Rather you than me… way too scary for this wussy pants! This wasn’t very scary to me, but I did find it to be at least enjoyable. I gave it a 3/5 as well, but it appeared we may have liked it for a few different reasons.